Carpet Cleaning for Andover and surrounding MA areas. In Andover, we match our eco-friendly, green cleaning supplies to your specific carpet fiber requirements. And we clean your carpets without the use of excess moisture as with many truck mounts furniture cleaning jobs. The results are amazing! Vibrant colors and pile restored; fresh and clean fragrance; more dirt, oils, allergens removed and a much quicker drying time. After we are finished, you will wonder if you haven't bought new carpeting! furniture cleaning for interim cleaning. ROWE CLEANING COMES HIGHLY RECOMMENDED! "I was planning to replace my rugs and carpeting because of age, wear and pet stains until I called Mark. He cleaned them with his professional touch and now they look fantastic. Mark also took my tired wood floors and brought them back to a shiny, tough, refreshing finish. Instead of having to totally refinish them with all its mess, dust, expense and cleanup, Mark cleaned and refreshed the finish until they were like new with minimal fuss. I highly recommend his work and plan to have him clean all of my windows in the Spring." "I have used Mark Rowe's services for business (property management) and personally for at least 20 years. He has cleaned carpets, entire houses and emergency situations (e.g. flooded basements). He has always been reliable, thorough and flexible in his dealings with me. I can unhesitatingly recommend him to you." "Mark Rowe of Reading Massachusetts has done maintenance for me for approximately 25 years. I owned a large salon in the Reading area up until six years ago, Mr. Rowe took care of all my maintenance needs on a weekly basis for 23 years which included floor cleaning and polishing, upholstery cleaning, window maintenance and even some repair work. He has also done work for me on a personal basis during this time which included carpet, upholstery, and window maintenance. He is a diligent, honest, hard working person. I have referred him to many people over the years because of the confidence I have that there is no one who can do this type of work any better. He is still employed by me taking care of weekly maintenance of my commercial building. He is a trustworthy person both proffessionally and personally. His work has always been priced within a fair range and he is meticulous about the results of his work." "Mark Rowe saved our couch after 2 years of baby formula spills and other stains and he very meticulously cleaned every inch of our area rug. Both looked like new when he left. I would not even consider using anyone else in the future!" "As a physician who studies the health effects of environmental pollutants it was important for me to have a carpet cleaning that did not use solvents known to cause cancers, endocrine, and neurological disorders. 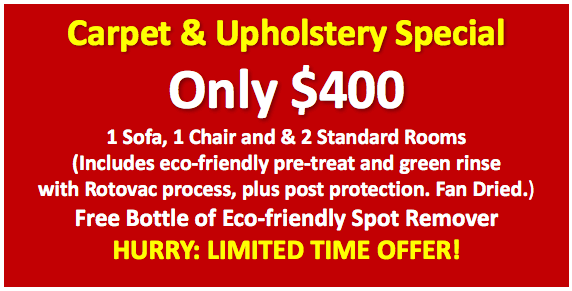 I recently had Rowe cleaning do their "green cleaning" on my carpet, rugs and upholstery. Mark did a meticulous job. Rowe cleaning provided quick, professional and courteous service. There was no lingering chemical smells and I was relieved that my infant son would not be exposed to potential off-gassing of solvents. I highly recommend this service to everyone, especially families with young children."